Rico’s World Kitchen comes up on your left as you travel north on South Lee Street, a converted garage (what isn’t these days) much larger than the four table spot Rico used to have near the Mall of Georgia. Parking is a mess. We found a spot between a sign and a van and squeezed in, and were glad for the bit of luck. It was a chilly evening and one where we were glad to be inside. The staff was, well, surprisingly Caucasian for a place where I expected a bit of an ethnic influence. In fact, you could have dropped it all into Decatur and no one would have known the difference. When we asked about the lumpia – my wife is Chamorro, and lumpia, Filipino eggrolls, have become a big part of the fiesta culture of Guam – we were told that Rico and his mom were gone. So, no lumpia, and not even a chance to ask if they ever have pancit on special. 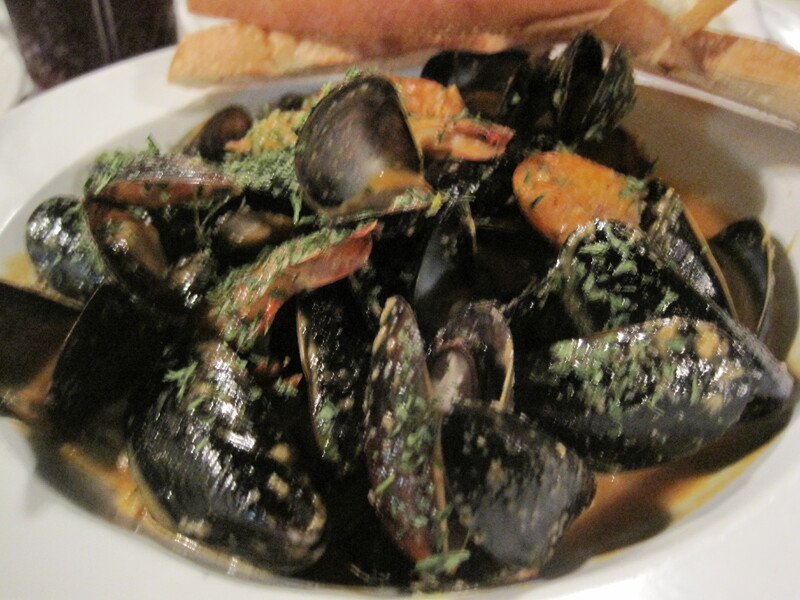 I wasn’t sure what I could eat from the entrees at Rico’s, so I ordered an appetizer as an entree, their New Orleans shrimp and mussels. My daughter had a habanero chicken sandwich. My wife had the shrimp po boy. We also ordered one large salad. This was good, but not mind blowing food. 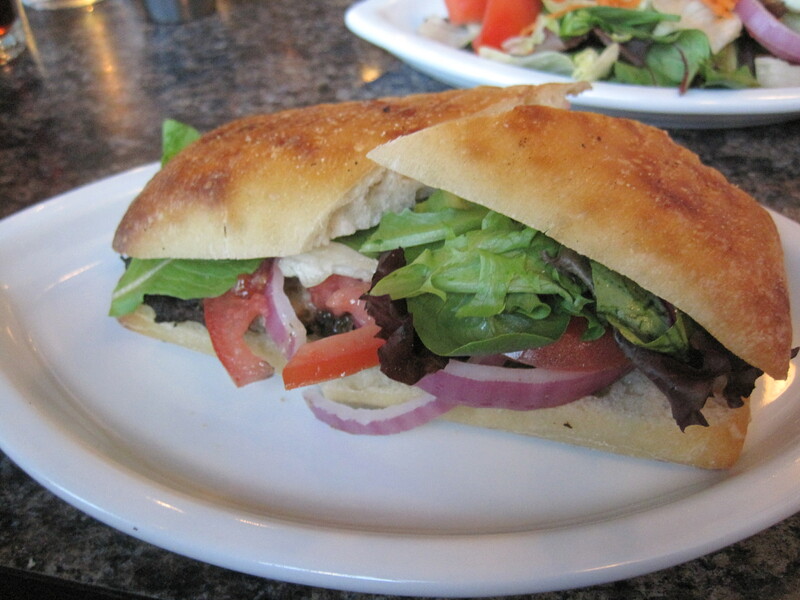 The best of the meal was the po boy, well cooked and flavored shrimp on chewy tender bread. 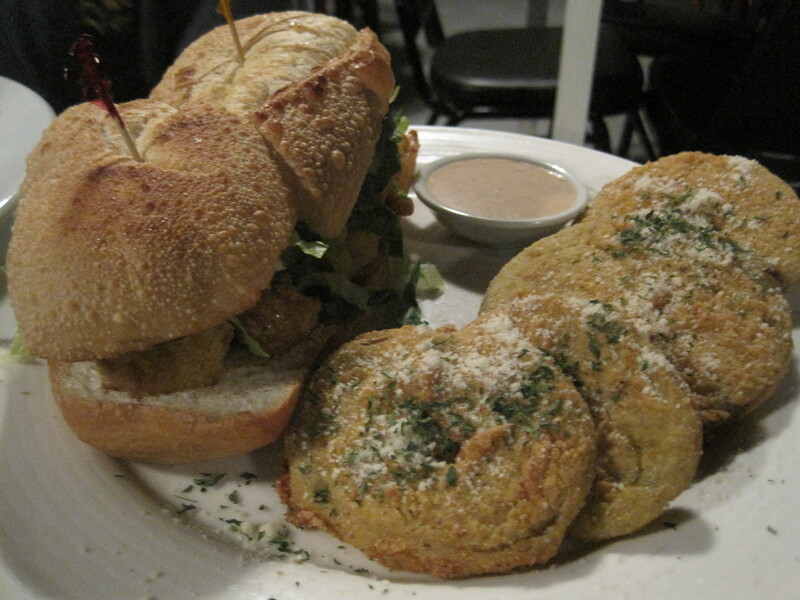 The fried green tomatoes were fine sides, and often shared. The habanero chicken had no spice to speak of, my daughter thought. She ate it quickly, so it was still pretty good. Her hash brown casserole was deliciously cheesy to my taste. The shrimp and mussels were decent. The mussels were a smaller variety, and to be honest I thought there was better flavor in my bite of the po boy. It was hard to add bulk to the menu as presented (no grilled vegetables, for example), and my wife eventually had us get her buffalo wings after we dined here. 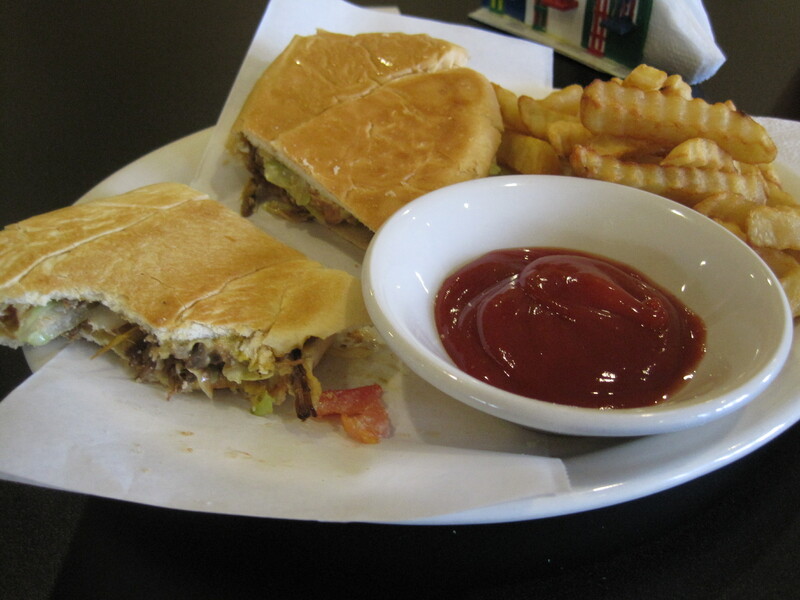 Rico’s is far better suited to a lunch crowd. Rico’s left us with mixed emotions, ones that might have been less mixed had Rico and his mom been there. It had taken an age to get my family here, and I’m not sure if wanting to roll the dice and find this owner is going to be worth it. As the small owner run shops become successful, the owners turn their attention to different things. Rico’s has an excellent reputation, but if it loses those elements that make it unique, it just becomes a sandwich shop on the way to the Mall of Georgia. A couple other spots, such as Gourmandises, can also fill that role. 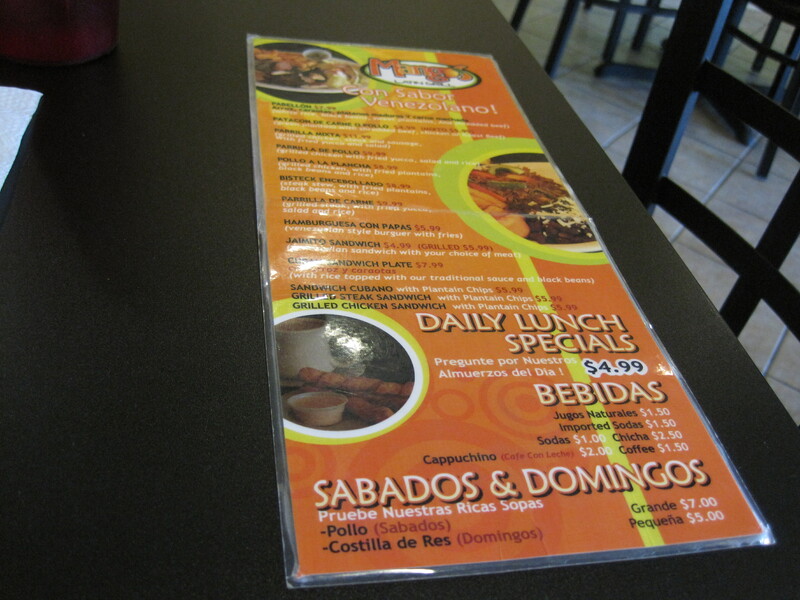 Verdict: Light menu, well suited to lunch, perhaps losing its ethnic touch. Recommended. 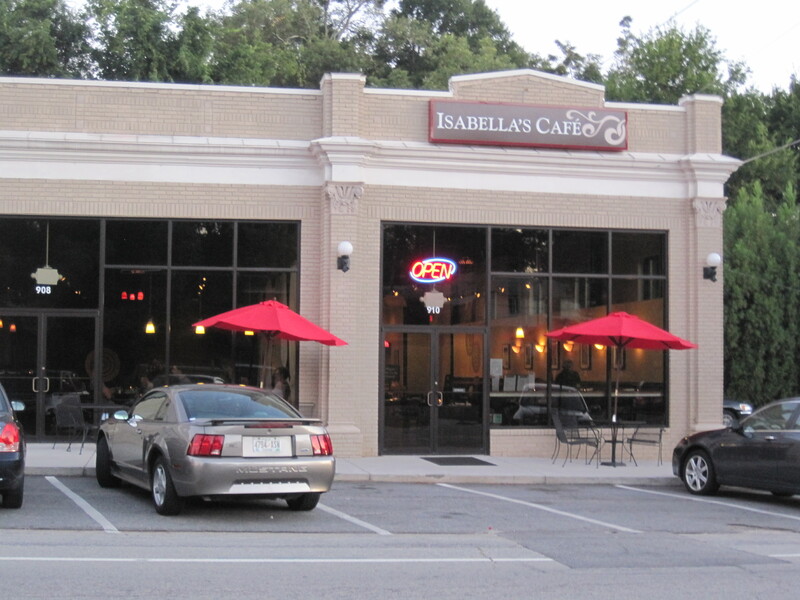 Isabella’s Cafe has been slowly creeping up UrbanSpoon’s 10 hottest list, in part due to excellent reviews by Bob Townsend of the AJC, and Amy of Amy on Food, but also in part to a well rounded, diverse menu. The choices were interesting enough that my wife was asking me whether we should go some days ago, and only various misadventures kept us from arriving at this cafe until recently. I was ravenous when I arrived, a product of missing a couple meals on the day we arrived. Both my wife and my daughter seemed to be looking forward to eating here. 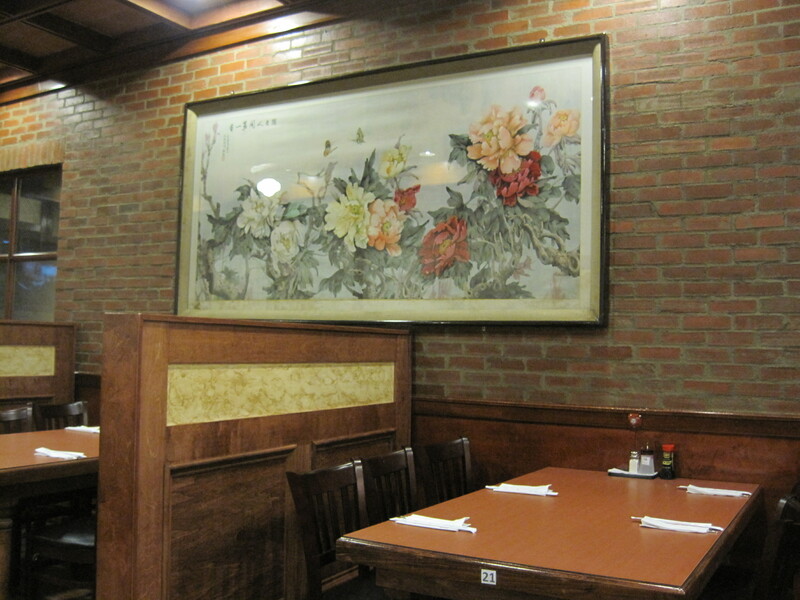 The restaurant is very roomy once you arrive, with an exceptionally high ceiling. Tables are spaced far apart, and there is some (though not a lot of) outdoor seating. 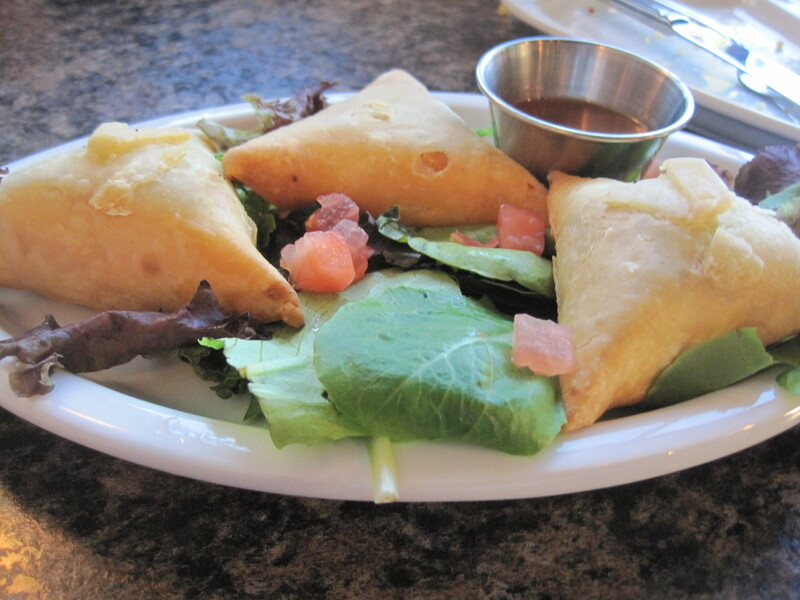 There are some good looking appetizers here, and an equally tantalizing collection of salads. One virtue of Isabellas is consistently high quality greens. Food issues such as mine leave me eating a lot of vegetables instead of pastas and other starches. Isabella’s salads are a nice way to avoid the starches that often fill dinner entrées. 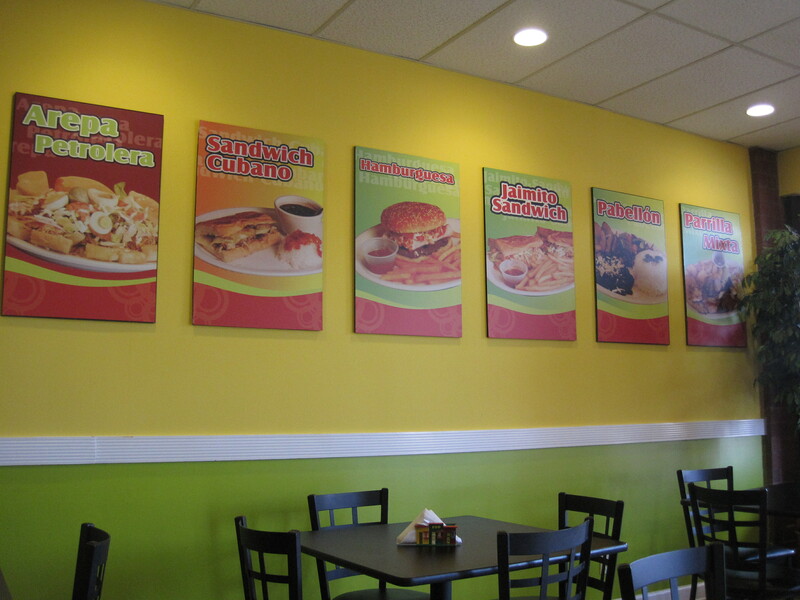 This is not, however, a diabetic friendly restaurant (though it does have the potential to be one). The salad dressings are invariably sweet and sugary. Things like a balsamic vinaigrette are nowhere to be seen. Desserts are all home made, sound wonderful, and are loaded with sweet calories. 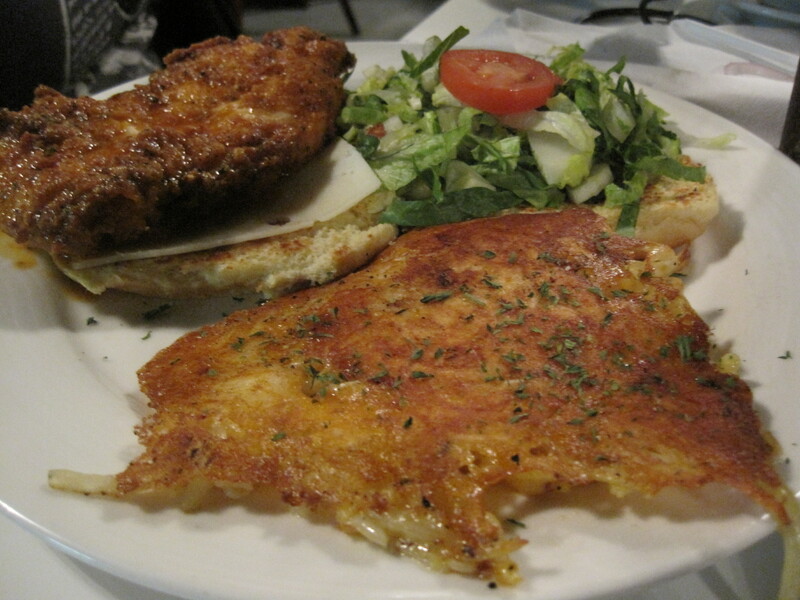 All entrées come with plenty of starches, and many of the appetizers are breaded. 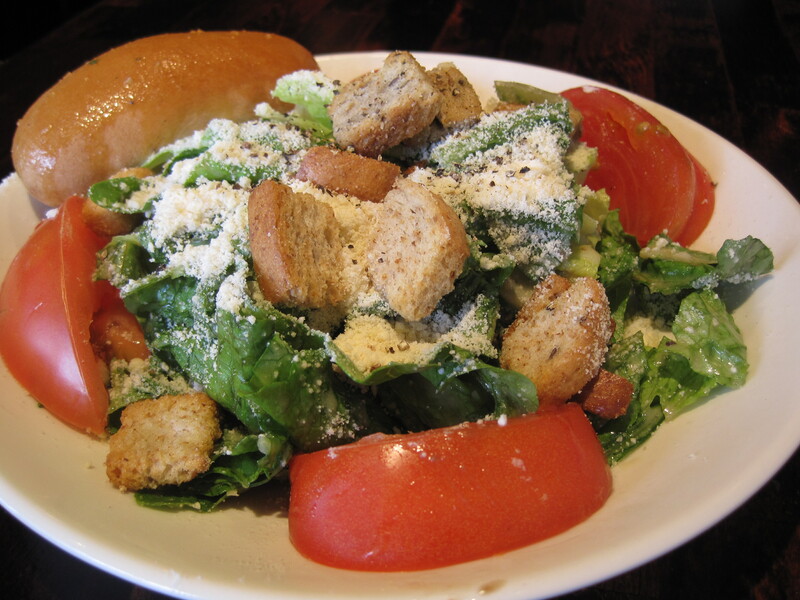 Salads and sandwiches make the restaurant bearable, and there are just enough options in the sides and vegetable plates to make it useful. Ambiance, especially after a hard week, is pretty fantastic. The photos on the walls are appealing, the small descriptions worth a read. The music is a nice accompaniment to the casual atmosphere, and the way the sun filters into the cafe leaves everything bathed in very natural lighting. 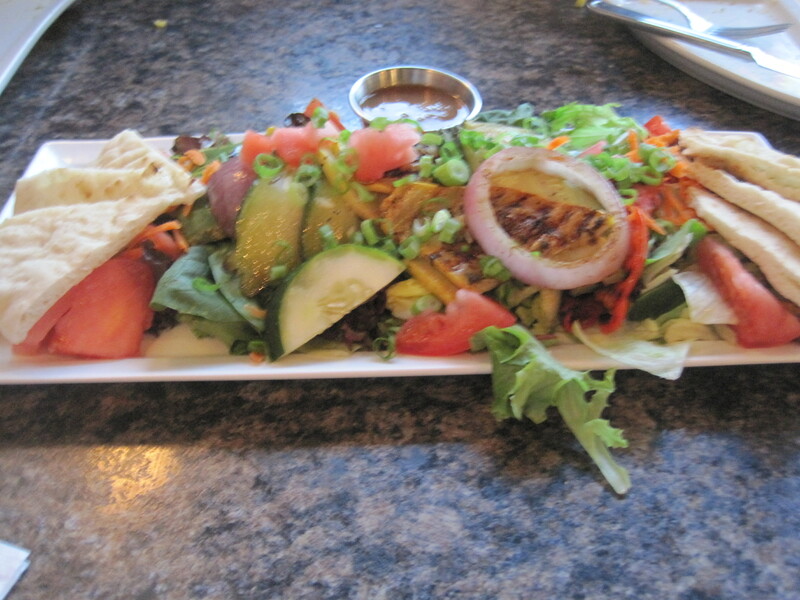 In terms of individual plates, the grilled veggie salad was perhaps our favorite, really excellent. 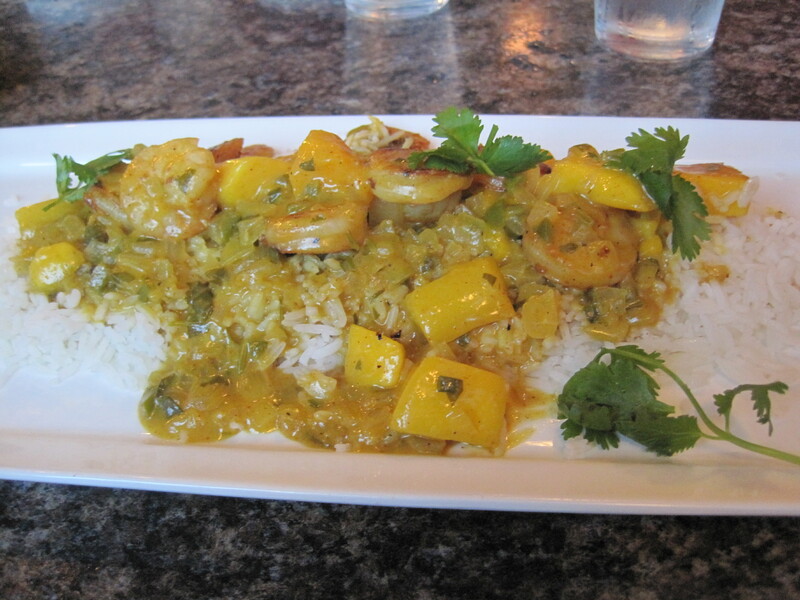 My daughter really liked her Swahili shrimp curry with mango and the samosas we tried went over really well. My shrimp and andouille sausage sandwich was good and the grilled jerk chicken sandwich pretty good. The spinach was, compared to the other, more spicy alternatives, a bit pale and mild to my tastes. Breads overall were of very high quality. Wait staff are good, if a little too helpful at times. That salad I ordered was large, but please, step back and realize that some people order a lot of greens for a reason! 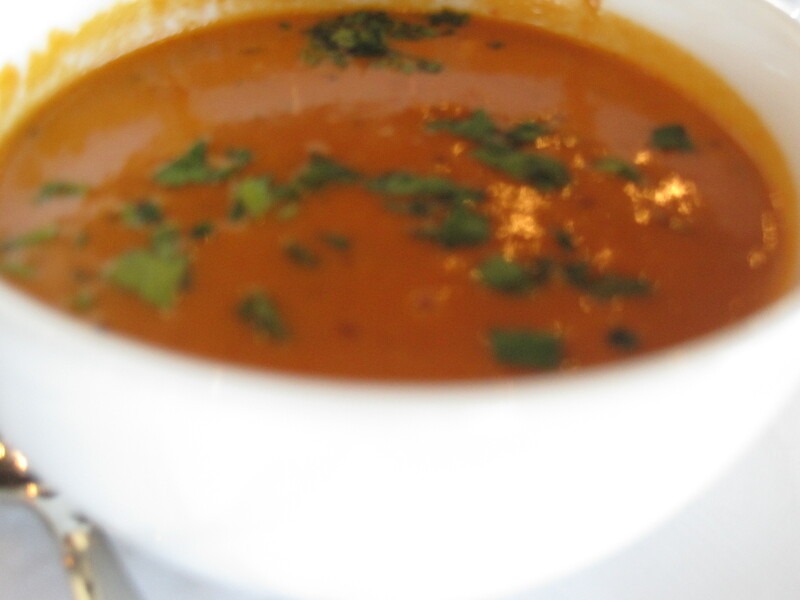 Verdict: Deserving of its accolades, with good food and a good staff. 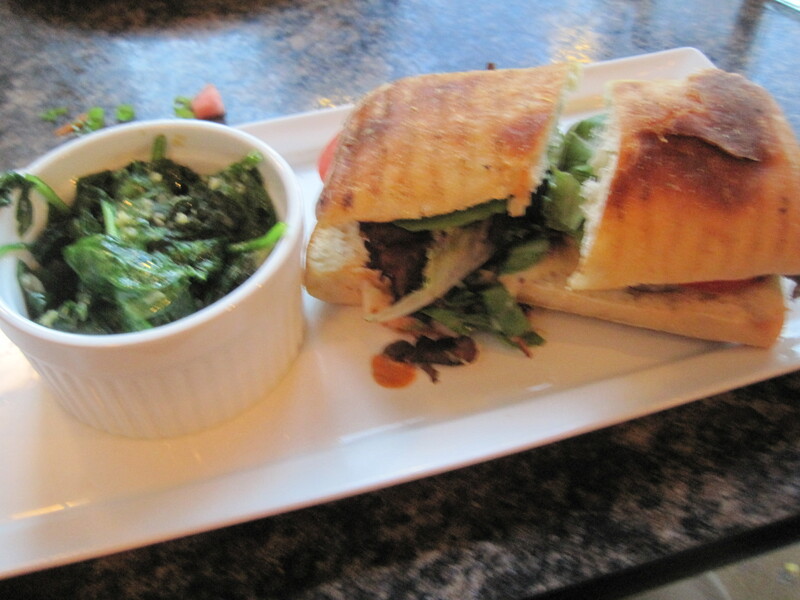 A bit too sweet and starchy, but good breads and greens. Highly Recommended. Gary’s Bistro is a restaurant that has been opening for a while now, setting up in the space occupied by Urban Flats previously. The owner is Gary Martin Hays, he of the workman’s compensation law firm, and the unforgettable refrigerator magnets. Gary, along with executive chef Tess Sanek, is trying to fill a void created when Urban Flats left: that of a casual but upscale place to eat in the Snellville area. The bistro does look nice, with a lot of glass, plenty of space, plenty of natural lighting, nice tables, booths and chairs. The eatery appears to seat about a dozen tables of 4 and perhaps 15 tables of two inside, with options for outside seating as well. Staff dress in black soft shirts and jeans, with green aprons. There are plenty of staff here: perhaps six wait staff, a bartender, a manager, and a lady who may well have been Tess acting as traffic cop near the grill area. I didn’t sneak over to see if the fine pizza oven was still there, but I suspect that it is. Pizzas they call pizzettas are on the menu (lunch menu here, dinner menu here). The wine bar has been largely retained as well, another feature I’m really glad to see. The lunch menu is reasonable. 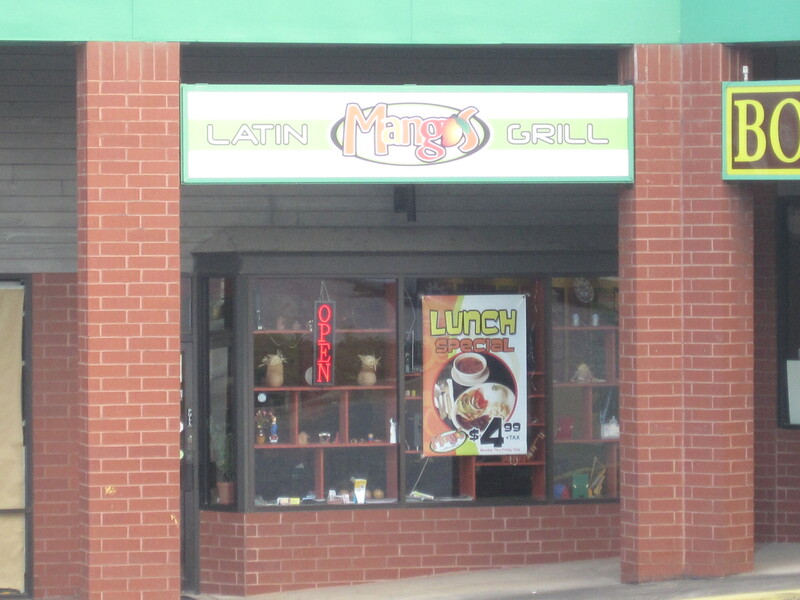 Dinner salads run around 8 to 9 dollars, sandwiches 9 to 11 dollars, pizzettas around 12 to 13 dollars. 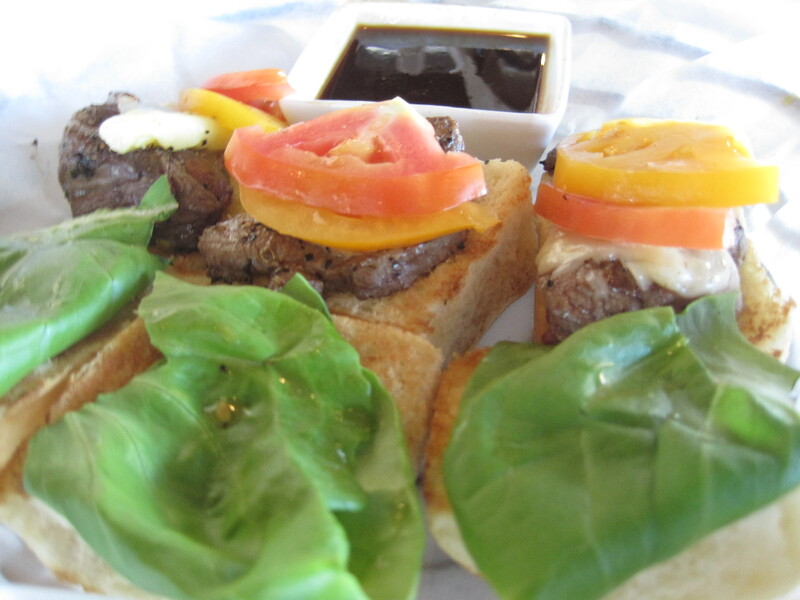 I had the bistro’s filet mignon sliders, which were smaller bits of food, but the Mahi BLT I ordered for my daughter was certainly large enough, and on excellent bread. 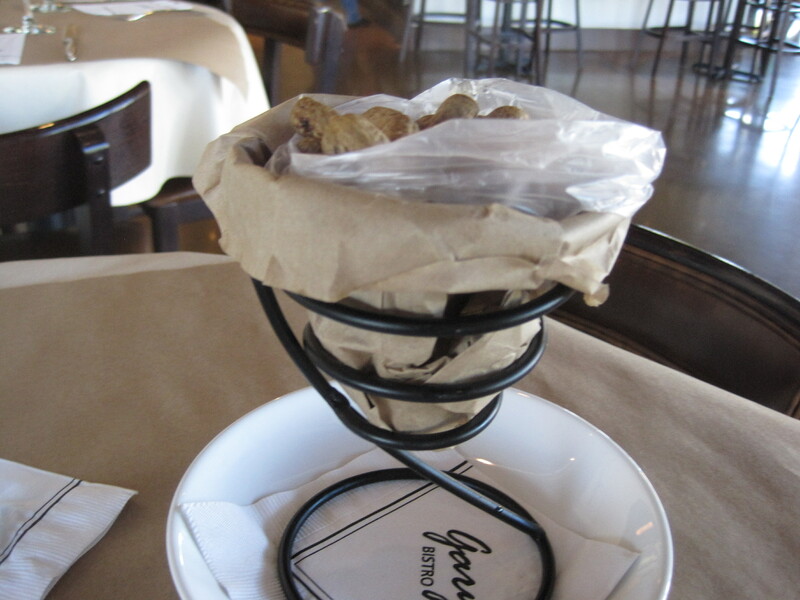 The Georgia caviar (boiled peanuts in a spiral wire container) seems to me to be both homage and a bit of fun with Georgia’s roots. The country salad I liked a great deal. 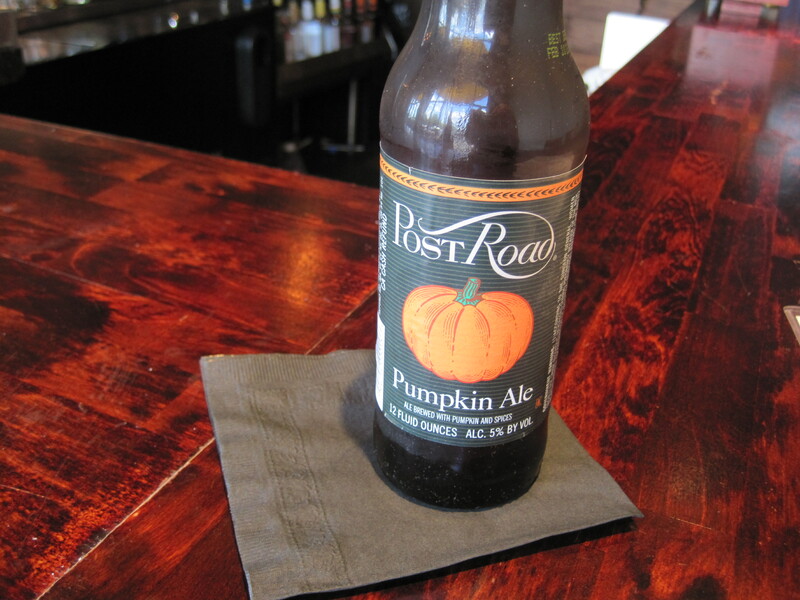 I’ve had more than my share of meals in school, where what I ate was a big chunk of pumpernickel, a chunk of Stilton or Roquefort (whatever I could get from the local cheese chops), and as much Shiner Bock as $1 or $2 could get me (a quarter a glass at the grad student bar). 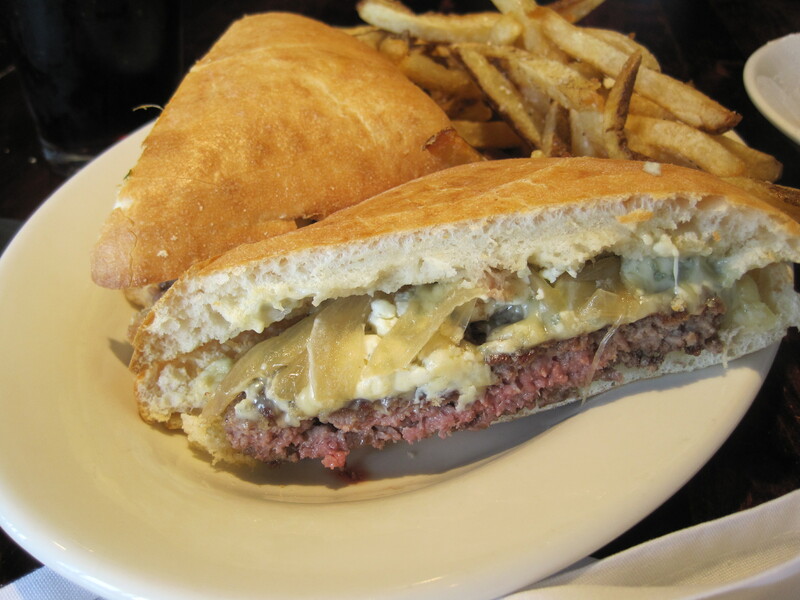 The good blue cheese, the toasted pecans pretty well transported back to those moments. There was very little to complain about in this meal. I would have preferred a chewier bread with the sliders, but a chewier bread would have made them something else, right? 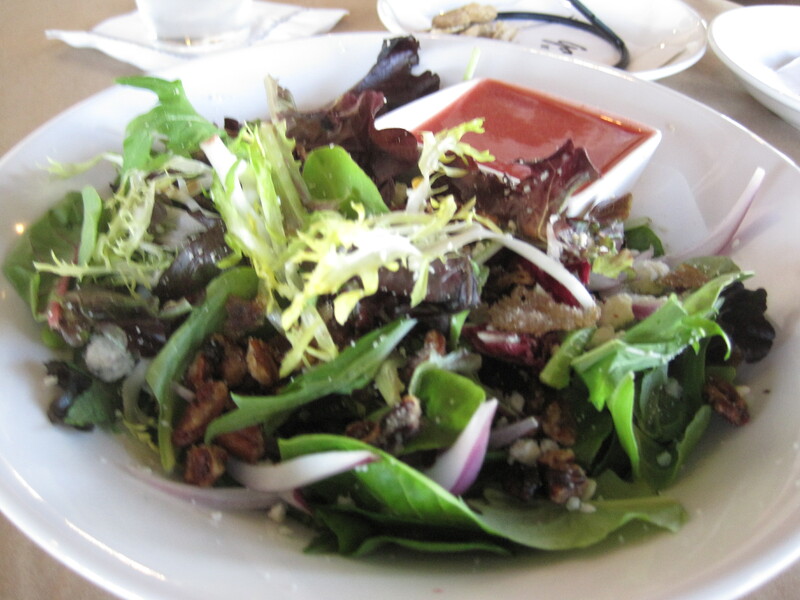 The raspberry vinaigrette with the country salad was too sweet for me, but I’m pretty sure I could have asked for a balsamic vinegar if I wanted. Service overall was attentive, constant, terrific. As this was at best a first impression, I’m tempted to follow up on Mike Stock’s offer to meet him here sometime, perhaps for dinner. They serve lamb here, and I’m a sucker for good lamb. 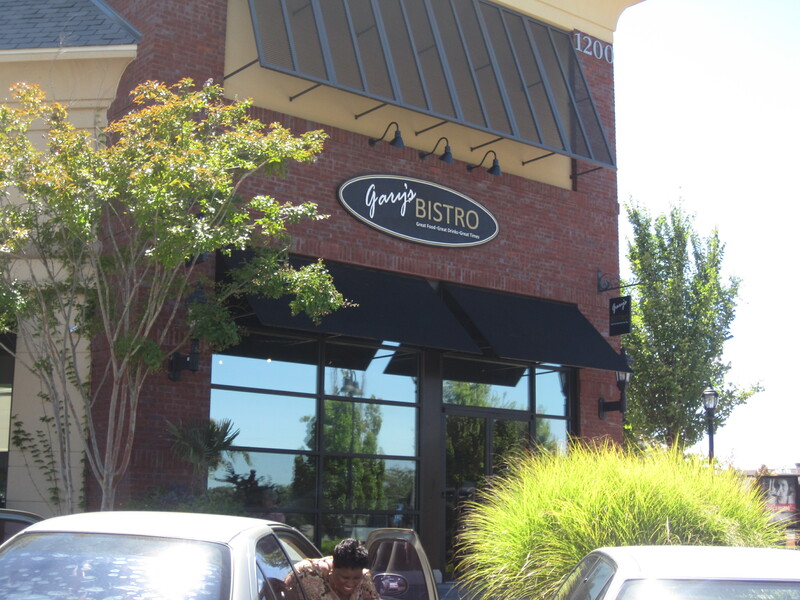 Verdict: An anticipated and welcome addition to the Snellville/Lawrenceville dining scene. 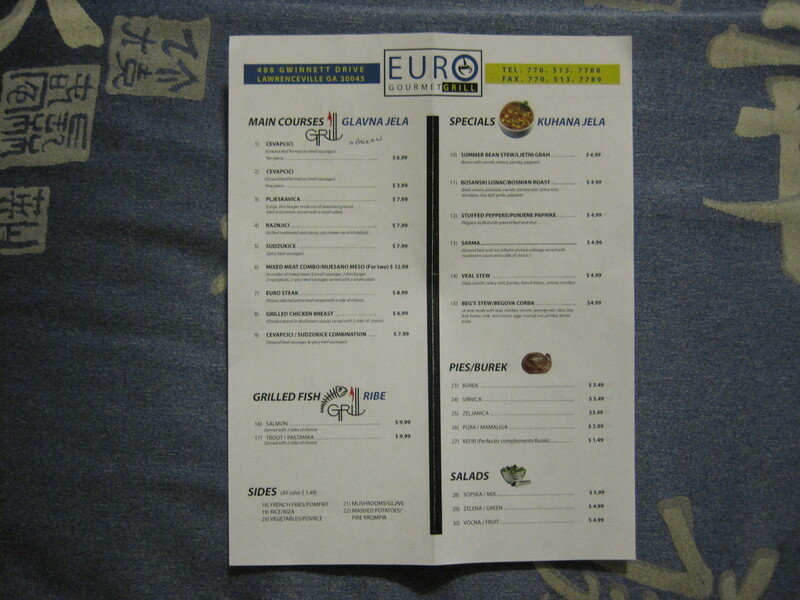 Good food, great service. Highly recommended. 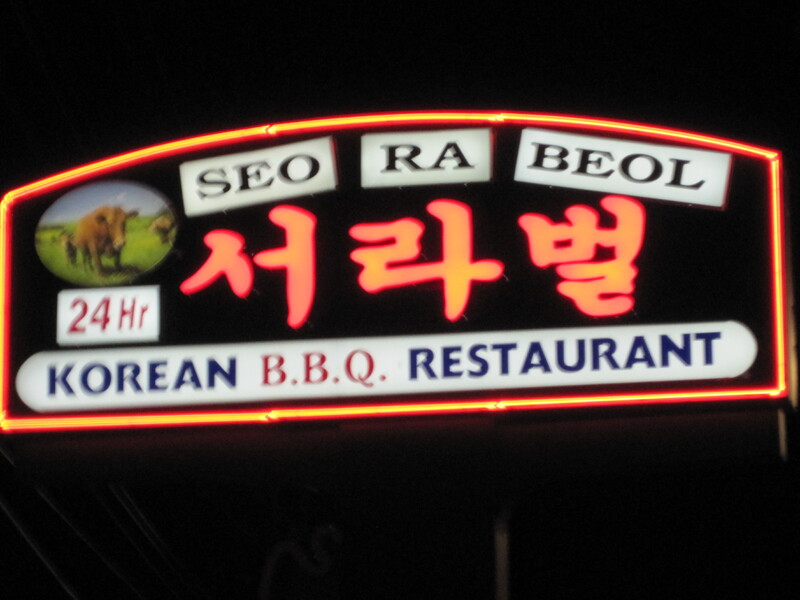 Seo Ra Beol is a 24 hour Korean BBQ restaurant on a stretch of Steve Reynolds so close to Pleasant Hill that the restaurant could be said to be on both roads. I became familiar with it because of its sign on Pleasant Hill, pretty near “What the Pho?”. 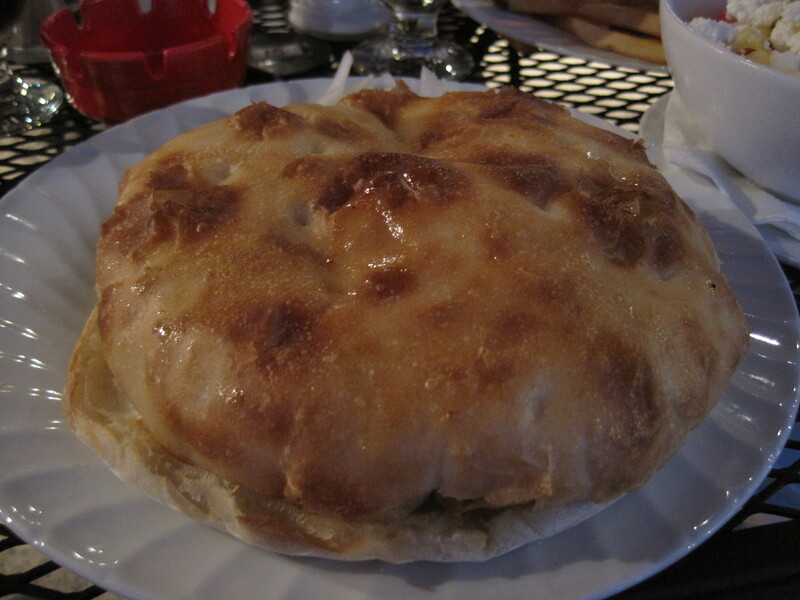 I was also curious if I could even eat this kind of food anymore. One of the big issues with diabetes and barbecue are sugars in the sauces, particularly brown sugar. But I didn’t recall bulgogi as being overwhelmingly sweet. So in I went, seeking my bulgogi fix. The interior of Seo Ra Beol is quite nice. The tables are heavy and wooden. There are prints everywhere, some long and thin, others huge and framed. The separators between tables are often on rollers, so they can be moved. Some of the seating has burners, and most of those have large metal venting overhead. 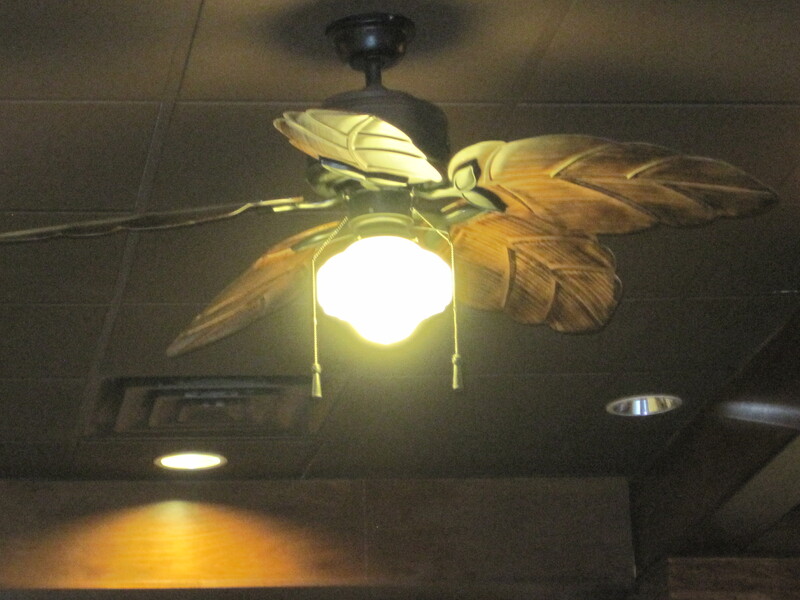 Fan blades were carved into the shape of tree leaves. It was a busy place. Staff scurried about constantly. As Chef Invisible has noted, the staff look as if they are flight attendants. It’s not a bad look; they’re very neat, if at this stage a little disorganized. After ordering bulgogi, it took about 4 trips before everything arrived, the bulgogi arriving first. I rather like it when the banchan arrives first and the main entree last. Bulgogi and some banchan. More banchan arrived later. I found the staff easy to talk to. The banchan were being refilled regularly once they arrived and I was concentrating on the kimchi and the pickled daikon when I could. The bulgogi was good. I ate perhaps 2/3 of it, saving the rest for my daughter. Of the starches and sweets, I ate perhaps a tablespoon or two of the rice, and one bite of the orange slice they gave me after the meal was ended. I went home, and exercised afterwards. Blood sugars ended up in a safe, normal range. Next time I’ll eat a few more bites of rice. Evidently I can afford to. 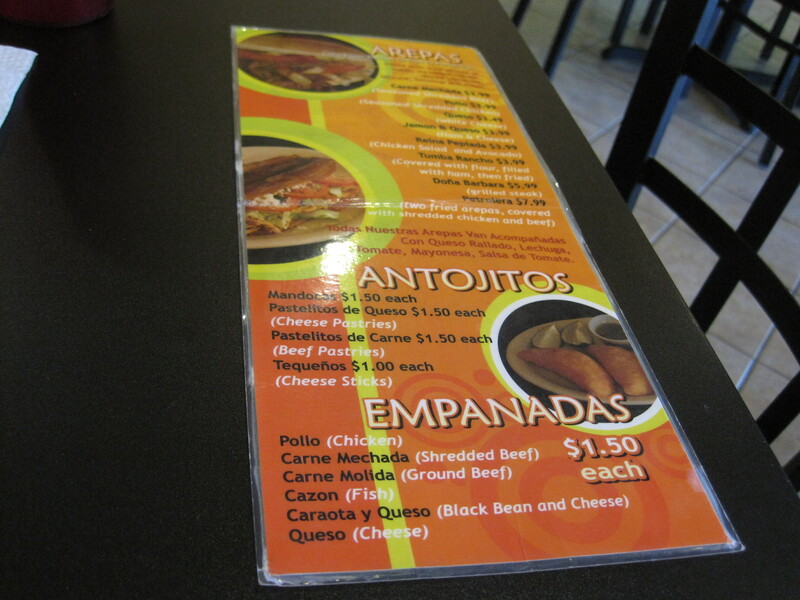 Verdict: Nice looking restaurant with good food, pretty interior and responsive staff. Recommended.